"I think so that there is a deep relationship for a city and skateboarding. I think that the skateboarding as the means of transportation is connected in new discovery by going ahead through the city by oneself. The new charm of the city invisible by the train movement. 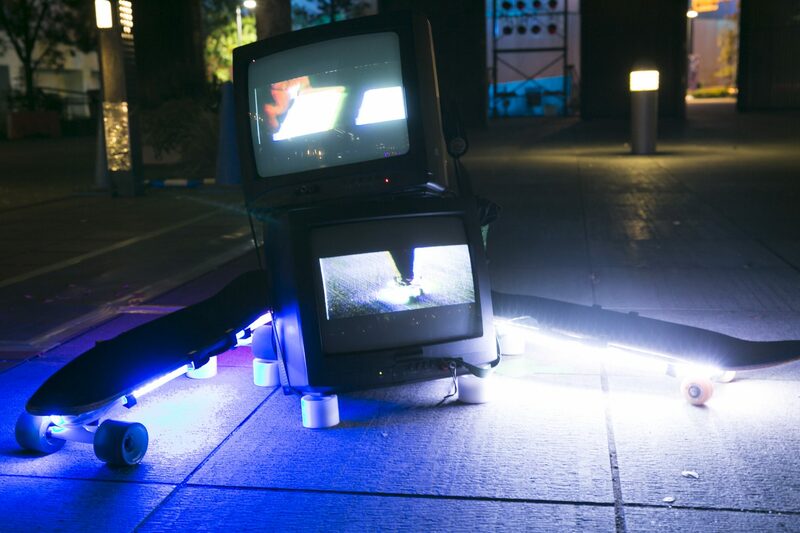 We interpreted ""riding"" was carried on as ""scanning a city"" and named ""scate scanner"" and let the vibration of the road surface which reached the foot make visualize using LED. Unlike fixed illuminations, I think that I may say the movement type illuminations."